Lolo the Dragon is a soft and squishy dinosaur designed for little hands to play with, chomp on and safely dunk in the bath! Lolo the Dragon‘s soft and squishy shape (and tail!) is perfect for littlies to pick up and chomp on when those troublesome pearly whites start to push through tender gums. Safe to take a dip in the bath, Lolo loves to splash in water too. The dinosaur’s moulded design means there’s no hole for water or mould to become trapped within, which let’s be honest, is a huge relief to know! 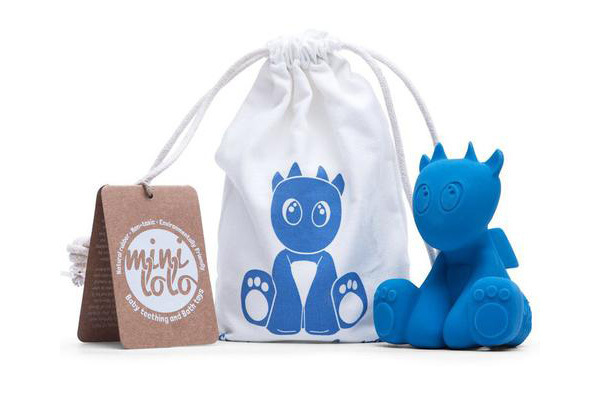 Available in a rainbow of blue, green, orange, pink, purple and yellow, these friendly dragons are priced $29 each, find them at Mini Lolo.